(Natural News) Every day, the average American churns out a lot of plastic garbage that takes forever to decay. Over time, the nearly-indestructible waste piles up and contaminates the surroundings, causing serious harm to the environment and human health. This prompted Irish researchers to look for a way to manage the ever-growing mountains of plastic waste we generate. In a University College Dublin news article, they produced a biodegradable plastic that can be broken down by any composting technique. Using this new material will help cut down on persistent plastic waste. When combined with other efforts, such as recycling, it could reduce the load on landfills and the garbage that litters beaches and shores. For example, millions of plastic bottles are manufactured, used, and thrown away each day. Less than 15 percent of the disposable products get recycled. The vast majority ends up in landfills or the environment. 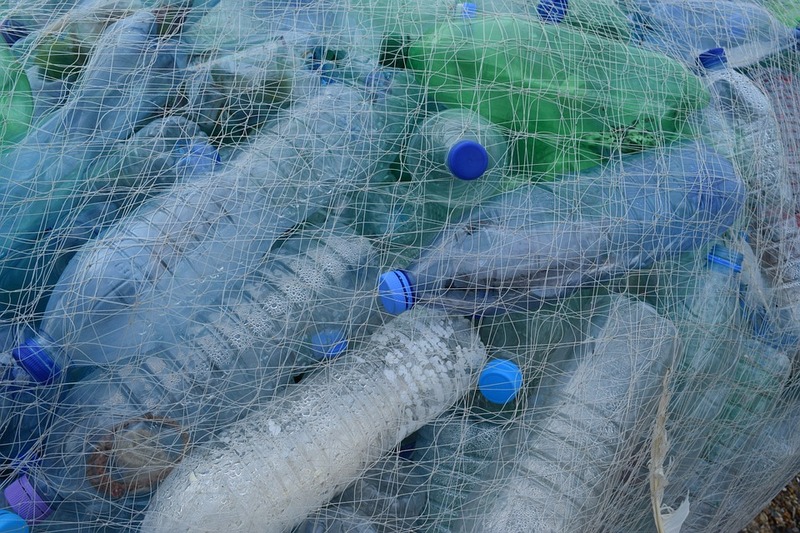 A research group led by the University College Dublin (UCD) blended several biodegradable plastics. They reported that the resulting material could be broken down by composting conditions found in any home. The new plastic is the result of experimentation with 15 different biodegradable predecessors. It is intended to be used as a commercial plastic with the bonus of not needing landfills or other specialized means of breaking it down. Get CLEAN FOOD and help support our mission to keep you informed: The Health Ranger Store lab verifies everything we sell with accredited testing for heavy metals, microbiology and food safety. Certified organic facility, ISO-accredited on-site laboratory, no GMOs or synthetic ingredients. The world's #1 source of lab-verified clean foods and superfoods for nutritional healing. 600+ products available. Explore now. According to UCD researcher Kevin O’Connor, their blend is made up of polylactic acid and polycaprolactone. The former is one of the most widely-used biodegradable plastics; however, it is also only compostable in specific industrial conditions. The new mixture degrades much easier and faster than its components. In tests that simulated the conditions of a compost bin found in an American home, the plastic was fully consumed within two months. O’Connor further noted that anaerobic microorganisms could digest the plastic. The bacteria would then produce biogas, a renewable and cleaner fuel. O’Connor’s fellow researcher, Trinity College Dublin (TCD) professor Dr. Ramesh Babu, noted that their results proved the possibility of blending plastics to achieve greater biodegradability. At the same time, the blend also retained the prized characteristics of its component plastics. However, of the 15 biodegradable plastics tested by the UCD-TCD team for blending, only two could be decomposed entirely by environmental factors like soil bacteria and water. Other biodegradables needed much more forceful means. Given these realities, O’Connor warned that biodegradable plastics were not a standalone answer for the problem posed by post-consumer plastic waste. Indeed, be it biodegradable or non-biodegradable, plastics need to be regulated to reduce pollution while maintaining their usefulness. Experts believe that as much as 12.5 million tons of plastic end up in the oceans every year. These pollutants are eaten by fish, seabirds, and other wildlife. When humans consume these animals for food, they also ingest the plastic contaminants, which can harm their health. Find out the role you play in reducing plastic pollution at Pollution.news. Are organized clean-ups really saving the world’s beaches?